Divorce is one of the most stressful, painful events to go through in life, second only to death. Yet it happens at least one in three of us, and one of the great things about other people having experienced it is that they often have excellent advice to give about getting through it. Fortunately, some things going through a divorce can teach you. Often you come to a better understanding of who you are, and the standards you will accept. Counselling can also help us to understand how the divorce came to happen, and how to avoid repeating bad patterns in future relationships. You may understand that there is no way that you can repair your past relationship, however, you may take the opportunity to learn. Usually, relationships after divorce change, however, counselling and new experiences can help you adjust to those changes. A bad relationship can make you feel like you’re going crazy. A bad relationship can ruin each person’s self-esteem and convince each of you that you’re bad people. Of course you (usually) aren’t – you’re just in a toxic relationship. Once out of that relationship, you are free of the all the negative labels you put on yourself. You are not a terrible person and whatever your ex-partner made you feel is not true. It’s common for people in bad relationships to realise that at some point, they’d stopped being an individual. They lose their interests, their hobbies, their friends and the parts that made them unique. 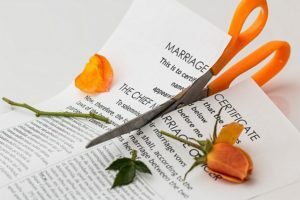 Divorce can be a defining moment that sets you on the path of finding out more about yourself again. You may feel as if before divorce, you are dependant on the other person for so many things; finances, social life and other things. You may have felt suited to the routine of serving the other partner, however, you are not defined by your routine. After your divorce, don’t be afraid to get out. Find new hobbies and make new experiences. You’ll find new things that make you happy and exploring your surroundings is a good place to start. You may have come to accept really bad behaviour throughout the course of the relationship. Once out of it, you come to realise that what you thought was normal isn’t, and that you can enter the world of normality again. You can learn what relationships should be like. 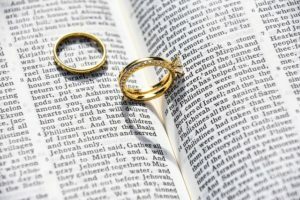 Not every relationship will be like your marriage, and if you were in a bad relationship, that can be a refreshing reminder. Initially the thought of being alone can be more daunting than the thought of being in a bad relationship. But then you realise that this isn’t true. Eventually you see that you’ve made the right decision and that you don’t wake up sad every morning anymore. You will start to feel happy. And you’ll know that you will be okay, no matter what happens. While yes, you are no longer together, there will be things you have to do together. Raising the kids will be one, but meeting together to plan how you wish to separate your assets will also be one. It may be hard to be civil, but sometimes you will have to meet together to ensure your house is still in order and the kids are still being parented by both parents. Being a single parent can be hard, however, keep in mind that you can still move on. Don’t worry about that coffee table you really wanted, a fight is not worth it. Focus on what’s best for you, and the items are not worth the bad relationship. Things can easily be replaced, but the emotional pain a bad relationship brings you is not worth it. If you need help with separation or divorce, please contact us for a free, 10-minute phone consultation. We are always happy to help and provide legal advice on your situation. Divorce can be hard, but there are many services that can help to make the process easier. 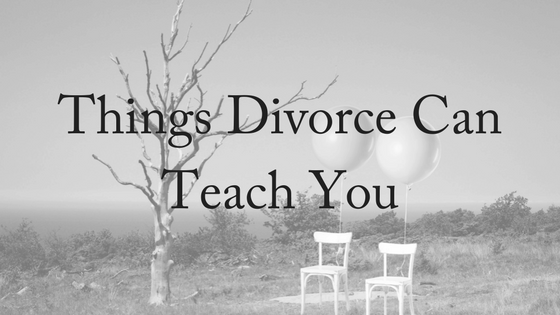 Divorce can also teach you many lessons, as hard as they may be.